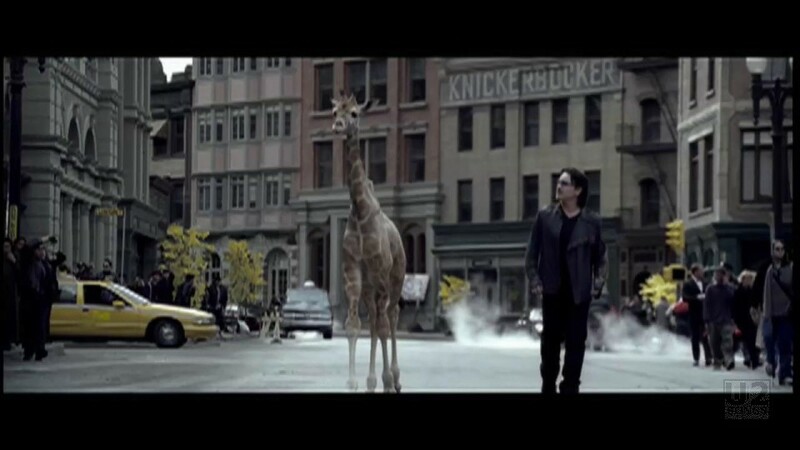 This video for U2’s “Elevation” uses the Tomb Raider mix of the song, and was directed by Joseph Kahn. The video stars evil U2 and good U2 in a heroic battle. It also includes footage of Angelina Jolie from the Tomb Raider movie. 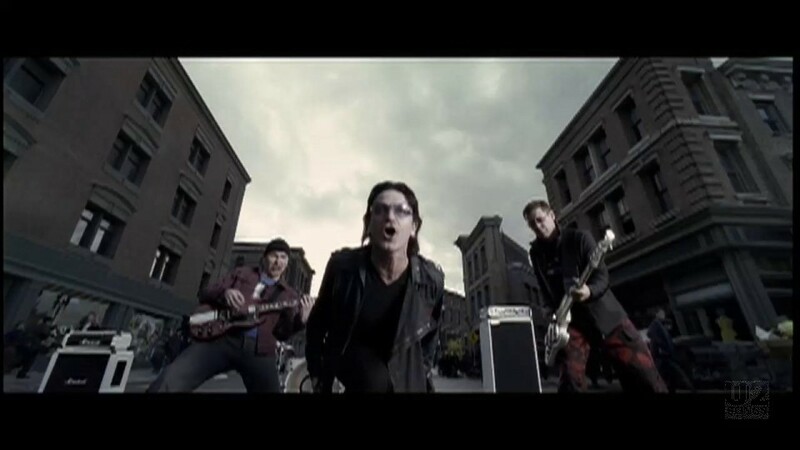 The video was shot at Universal Studios in Hollywood California on the weekend of April 7 and 8th, 2001. The video was premiered on MTV on Monday, May 14, with a special “Making the Video” documentary. The network followed up by airing the video each day the following week at predetermined times. MTV2 hosted an all day premiere for the video as well, on May 17, airing the video every hour on the hour. 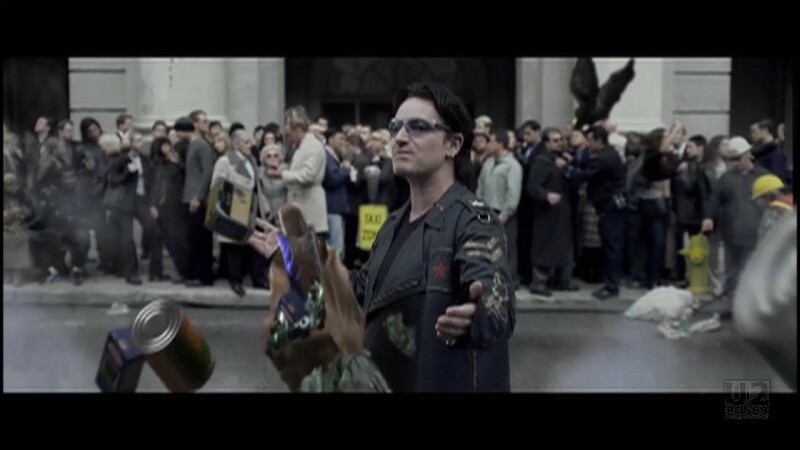 In the video, U2 fight with an evil version of themselves. 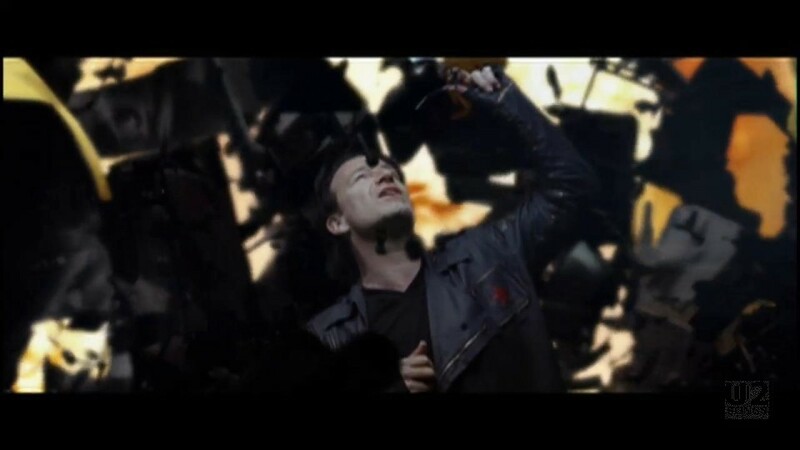 Director Kahn explained, “The U2 as you know them want to save the world, but the evil U2 want to destroy the world.” The video opens with a plane flying overhead, a common feature in many of the videos from All That You Can’t Leave Behind. We pan down into a street scene, with Bono carrying a bag of groceries, and getting a call on his mobile phone where a raspy voice annouces “This is Evil Bono, we have The Edge. We want the key. You are surrounded. And not even Lara Croft can help you now.” The video itself uses special effects to add The Edge into scenes from the “Tomb Raider” movie. 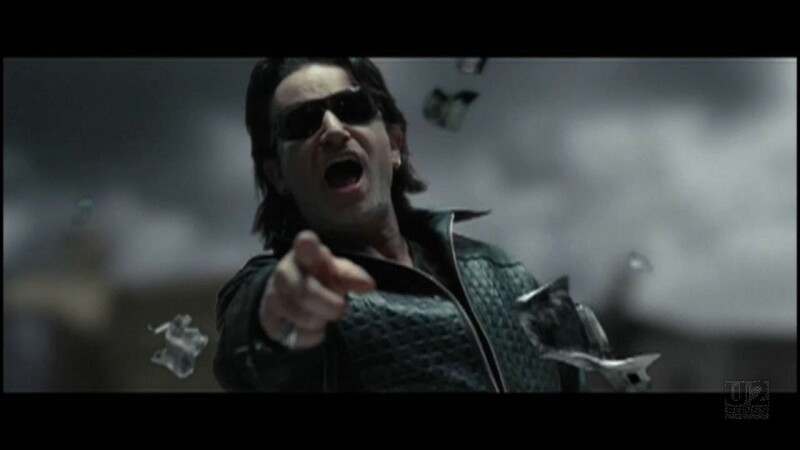 The video itself features leather clad evil U2 against our heroes, good U2. 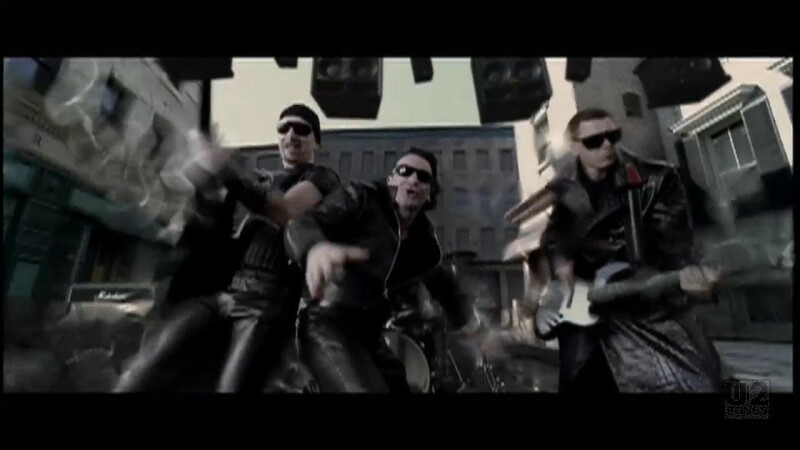 The video is full of special effects such as stopping all the motion in a scene while U2 continue to move, evil U2 suspended in the air, and guitars that shoot out compression energy as a means to attack. "U2 - “Elevation” Promotional Release"